I have interviewed several travelers and tourists. Most of them talk about the amazing natural beauty and the cultural richness of the places they visit. A few days back I had a chance to interview a globetrotter with a purpose. Shannon O'Donnell has travelled to around 32 countries. Her journeys are not just hasty sight-seeing excursions. There is no doubt that she has an eye which is captivated by the beauty of nature but she seems to possess a heart for human problems as well. Therefore, her travels are actually study tours in which she considers human problems that are consistently ignored by tourists and travelers too enthralled in picturesque landscapes to be mindful of the socio-economic problems which lie in the background. 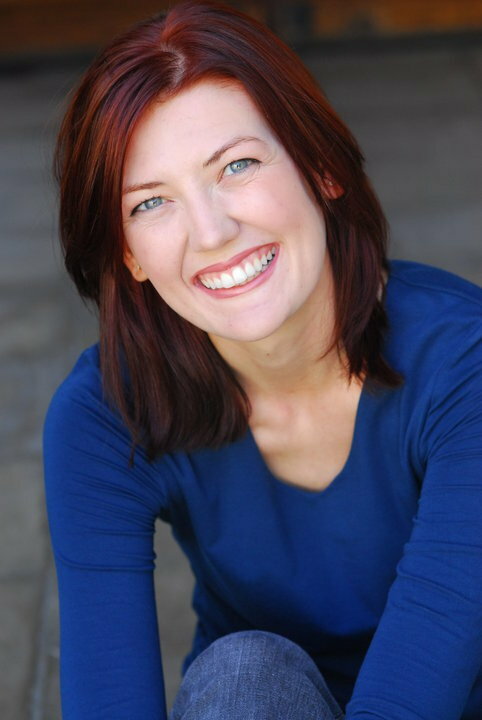 Shannon O'Donnell lives in the USA. She is 29-year-old and grew up in Florida. She has studied Advertising/Public Relations at the University of Central Florida and started a career as an actress in Los Angeles. But, she had a passion for exploring the world. After acting for two years, she turned to traveling. She liked exploring diverse cultures of the world. During her sight-seeing expeditions, she would live among common people in foreign lands, participate in their daily life, ask them questions and hear their traditional and real-life tragic stories. When we look at her life, we come to know that traveling was in her bones from an early age. She remembers, ‘When I was young my father supplied me with a monthly subscription to the National Geographic magazine and this was surely the beginning. From there, I am a natural wanderer. I always wanted to stray from home for college and beyond so I found opportunities to take small trips in college (a study abroad) and then I spent several years creating a life that would allow me to quite literally work from anywhere in the world—the travel stemmed from there’. She further says , ‘In a spur of the moment decision (within two days of hatching the plan) I bought my one-way ticket to Australia) I decided to pack up my life in California and travel around the world for a year while volunteering and supporting communities along the way—and while recording the entire journey on this site’. Yes, she has a website entitled A Little Adrif . The site records her travels to various places in the world. It is a resource to inspire and inform other explorers through her personal stories. 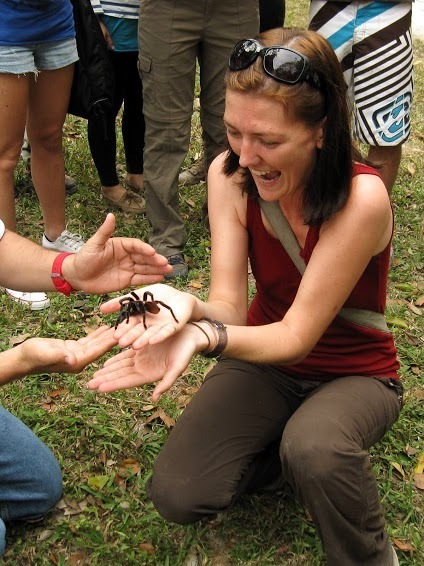 As a traveler, Shannon has gained a lot from her exposure to diverse ways of life around the globe. She has learned to appreciate the plurality of the world. She stresses that ‘our diversity is part of what brings beauty to the world’. She is of the view that differences in the world exist on the surface, as we delve deeper, recurrent patterns of similarities begin to emerge. These days, she works as SEO consultant, a freelance travel writer, speaker, photographer, traveler and storyteller. She regularly speaks with travelers and school students about travels and the importance of cultivating an informed worldview. She explains that she is ‘on an open-ended journey’ of the world. When she travels, she tries to make her trip more meaningful by working voluntarily at different places she visits for local causes and communities. She delivers talks on international volunteering. For this purpose, she has launched a website Grassroots Volunteering. 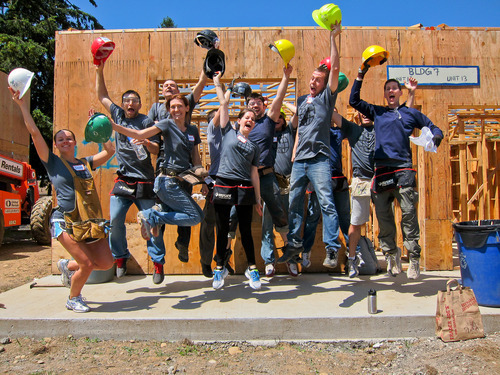 On this site, she shares her tips with travelers on how they can serve local causes and communities when they visit different places. Her blog on the site discusses current issues and causes around the world such as the Oklahoma tornado, the health issues of mothers, conservation, volunteering and the like. She has worked as a volunteer at the Elephant Nature Park, a sanctuary outside of Chiang Mai, Thailand and with Habitat for Humanity in Portland, Oregon. She has also taught English to young monks in Nepal. In addition, she has also been helping kids in Guatemala, Central America. These are only a few glimpses of her work as a global volunteer. On account of her volunteering work, Shannon has to stay longer at places she visits. She says, ‘Generally I travel much slower than most people so although I have been traveling around the world since 2008, I have spent two-five months in several of these places to get better grasp on the food and culture, as well as to volunteer there’. In addition to her websites about traveling and volunteering, she has authored a book about traveling and volunteering. She says ‘I tend to focus on local, sustainable grassroots level travel and in fall 2012, pulling together my knowledge of traveling and volunteering, I published my first book, The Volunteer Traveler’s Handbook’. 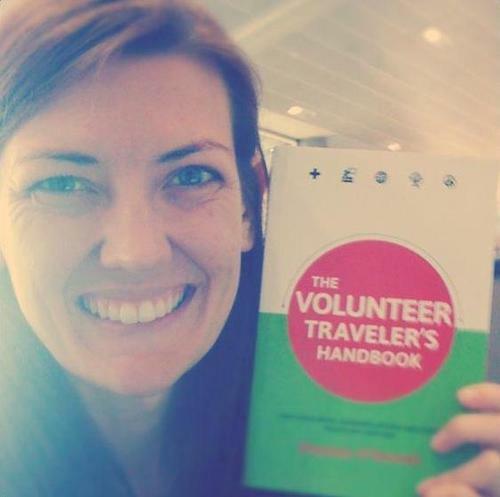 'The Volunteer Traveler’s Handbook' was published in October 2012. 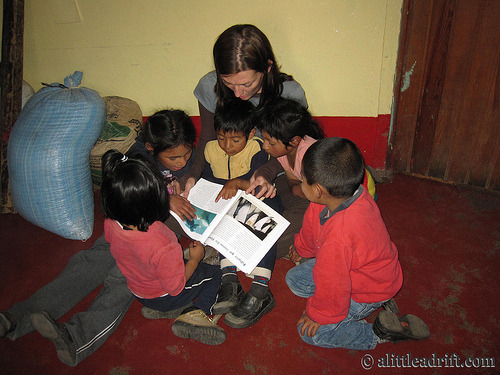 The book helps travelers find ethical and sustainable international volunteer opportunities. Her passion for traveling and her dedication to serve humanity have brought her name and fame. Her site, her writing and photography have been featured in BBC Travel, Lonely Planet, and Cosmopolitan Italy magazine, National Geographic Traveler, Times of India, Trinity University Magazine and many other travel magazines and sites. Talking about problems in human life, she believes that we can solve problems if we understand the causes behind them. We should focus on roots and not on the branches. For instance, drug addiction is a problem. She criticises people's negative attitudes towards drug addicts or the choices drug addicts make in life. In one of her blog posts, she describes how mercilessly the world alienates itself from people suffering from drug addiction. Recording her views of this particular problem on July 26, 2011, she says, 'One of my older brothers died six years ago this month; he was just 27 years old and too young to lose his life. Singer Amy Winehouse died this week and, like my brother, died of a drug overdose. She was also so young to have battled such a serious addiction. The internet and radio are alive right now with remarks about her drug addiction, accusations about her life choices, and her death–flippant comments about her “bringing it on herself,” people writing her off and offering no compassion because she was an addict. My brother died of a drug overdose and some may think that exempts him from compassion, but he was my brother and no fault or flaw or addiction changes that. I have never before felt compelled to talk about my brother on this blog, but the lack of meaningful conversation from the media in response to Winehouse’s death startled me; we point fingers and talk about a person’s choices and yet don’t ask why addiction exists, we don’t use this as an opportunity to investigate what we are doing as a society to help them, and we certainly we don’t seek understanding. We are all someone’s daughter, son, mother, father, sister or brother and losing a loved one hurts deeply; the very moment we stop feeling compassion and respect for each person on this planet, we will lose a piece of our shared humanity'. She has photographed her excursions but she has not captured in the images the sorrow, pain and suffering which she has gone through in life. Our adventurer becomes sad when she sees poverty in the world. She says, ‘Witnessing poverty and knowing there is no panacea , no solution I can reach for to fix it makes me sad’. She is not a dreamer . She believes that 'there is no utopia on Earth, every country has things they are doing really right, things I think are positive and helping other citizens'. She points out that the presence of sorrow and grief has its own significance. ‘We would have no word for joy if we did not also feel sorrow. The lows in life teach us to appreciate the highs that much more’. She seems to regard the whole world as her abode and rejects discourses that the world is going to the dogs. However, she laments that 'there is not a government on the planet that has found the formula for creating peace and prosperity'. She concludes that ‘the world is inherently a safe place. That good people reside in every country on earth and its these people you most often meet. Strangers who embody kindness and have offered friendship and help when I needed it far outweigh the negative. So today we have tried to see some of the glimpses from the life of Shannon O'Donnell. She has left acting, went on excursions and finally arrived at volunteering. What does volunteering gives her? I found the answer to this question in one of the articles she has written about her trip to Guatemala. 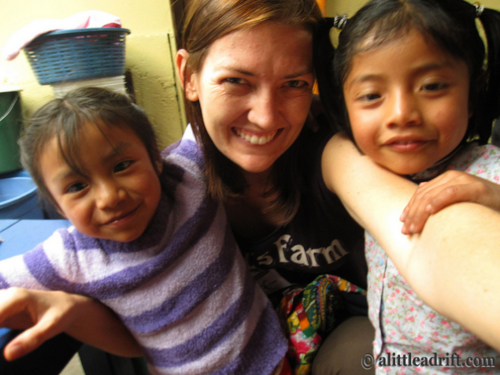 As we have mentioned earlier, she has helped poor children of Guatemala in their education. The children gave their innocent and pure love in return. Recording her pedagogical experiences, she writes, 'In the two weeks of my visit these children gave me their hearts and warmly welcomed me in every day – and purely because of me. There was no motivation of seeking candy, or a spare quetzal (the Guatemalan currency) they just wanted my undivided attention, something that they so rarely get from the understandably busy adults in their lives'. This interaction with innocent love brings us peace of mind and this is what she appears to earn through her work as a traveling volunteer.